The hedgerows on our afternoon walk are filled with beautiful wild flowers and grasses. 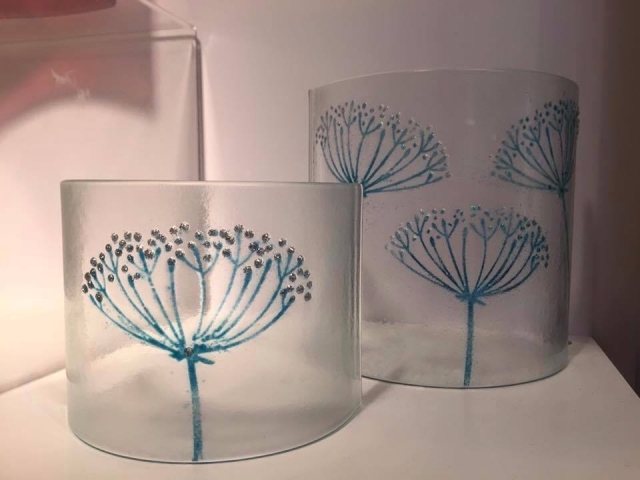 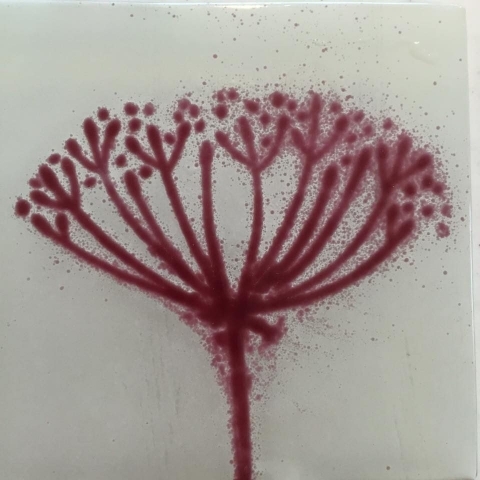 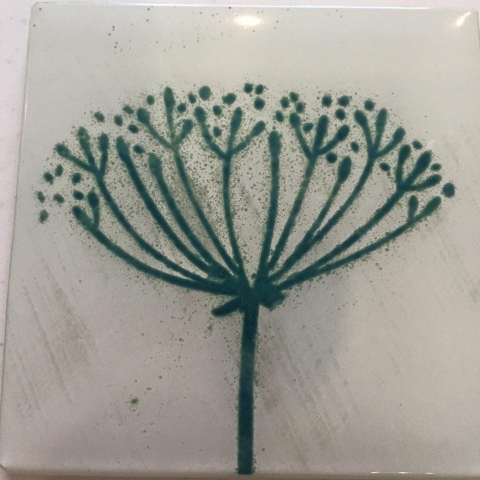 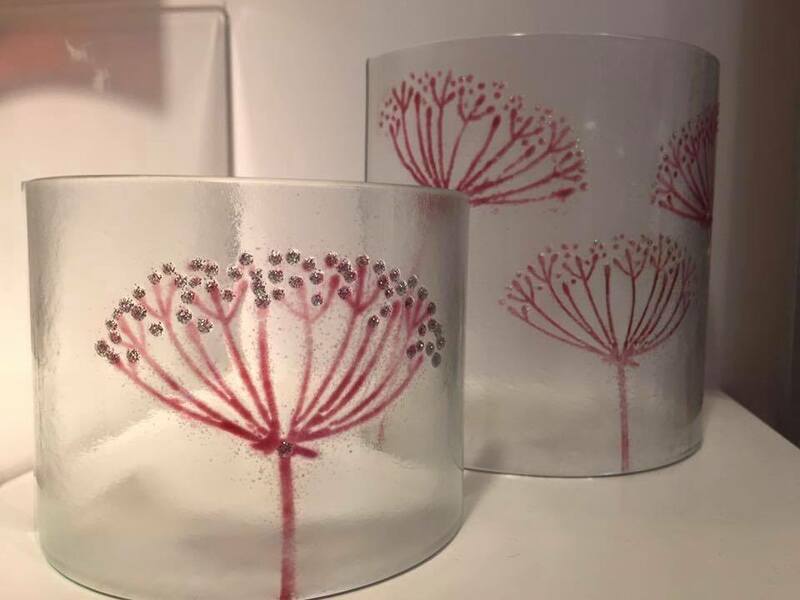 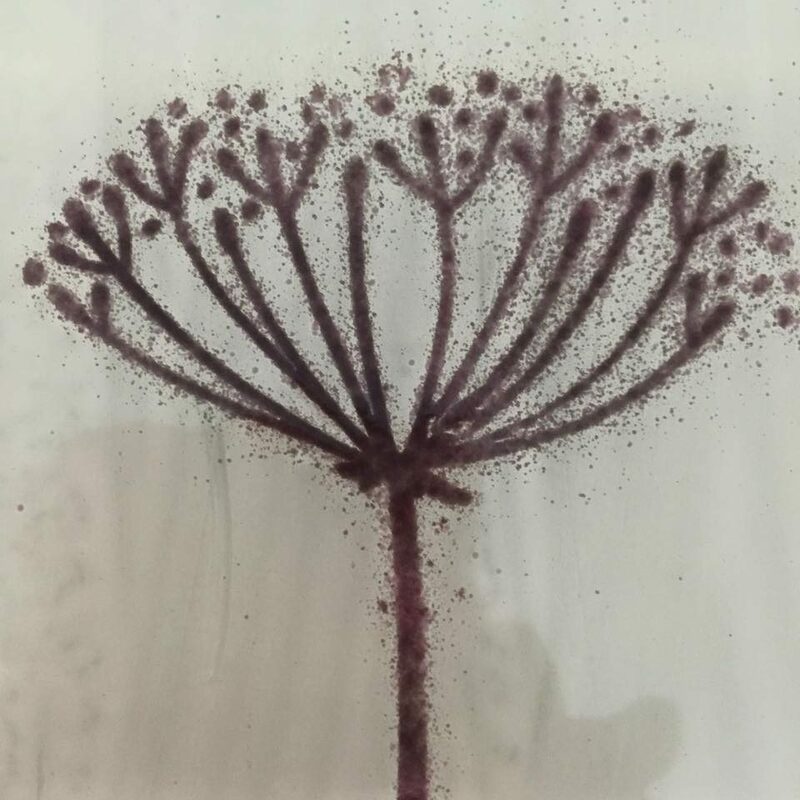 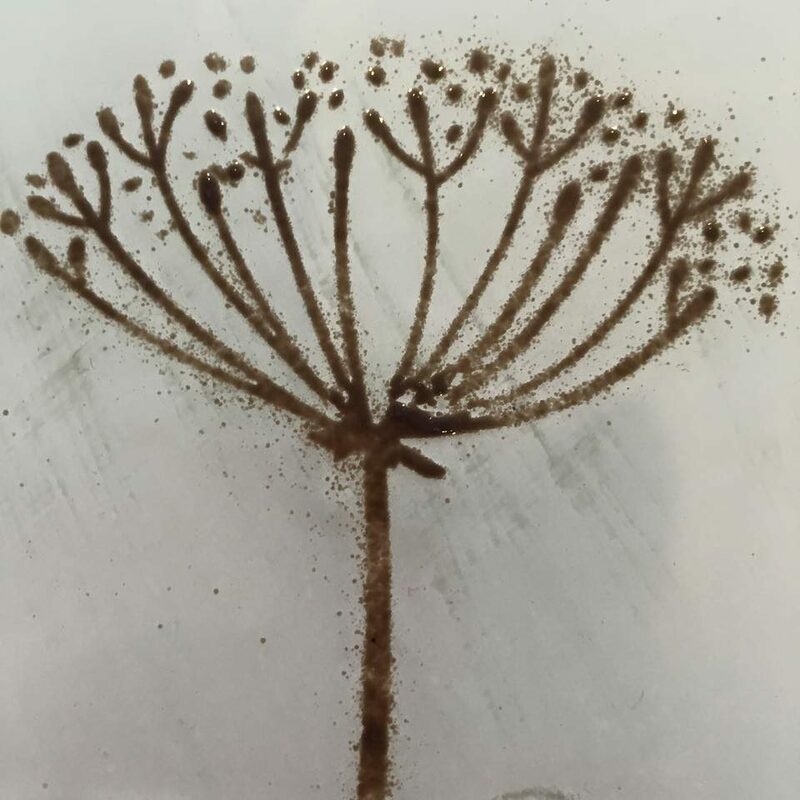 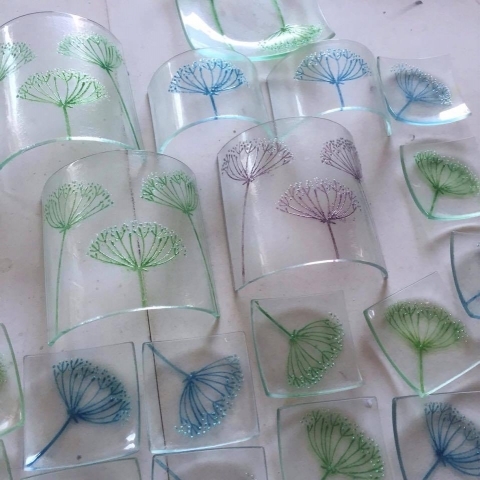 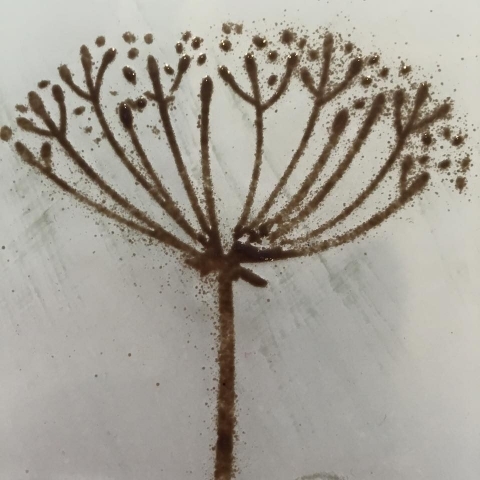 I’m particularly fond of the cow parsley and this stencilled design uses tones of glass powders on clear or opaque glass embellished with opal lustre. 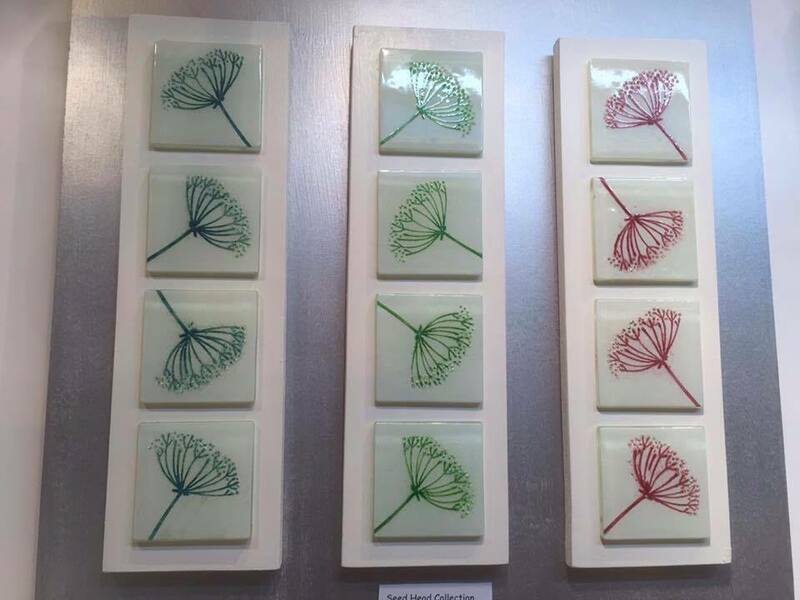 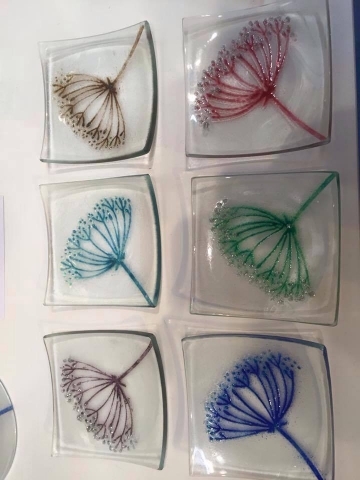 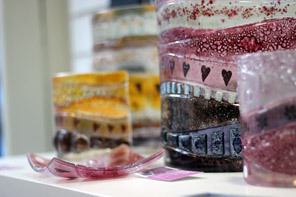 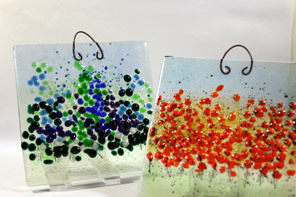 Available as dishes, curves, hangers and mounted panels in 7 different colour ways.